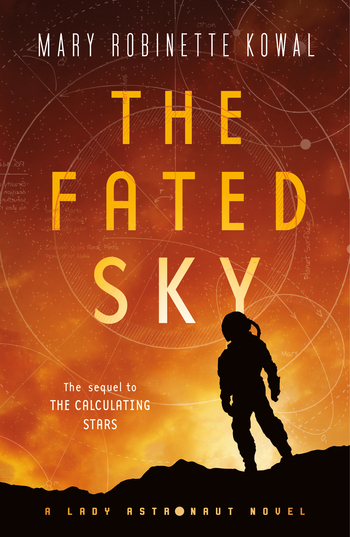 “An engrossing alternate history with a unique point of view, The Fated Sky dramatically demonstrates the technical problems with going to Mars—but the technical problems are the not the only ones. Never backing down from vital issues of race and gender, The Fated Sky confronts the human issues of space travel in a United States made increasingly desperate by a massive meteor strike. Plausible, convincing, and ultimately moving.”—Nancy Kress, author of the Hugo Award-winning "Yesterday's Kin"
Mary Robinette Kowal is the author of the historical fantasy novels Ghost Talkers and the five books in The Glamourist Histories series. She is also a multiple Hugo Award winner. Her short fiction has appeared in Uncanny, Tor.com, and Asimov’s. Mary, a professional puppeteer, lives in Chicago with her husband Robert and over a dozen manual typewriters.